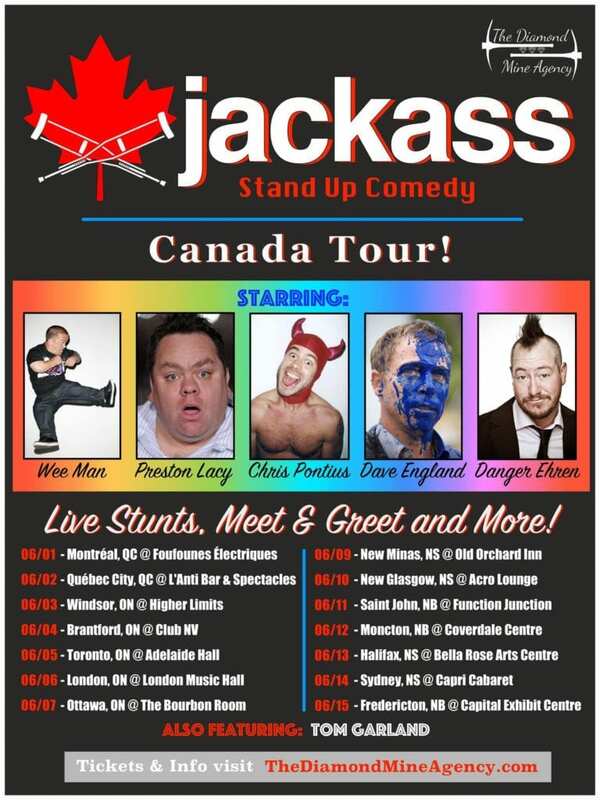 When I was told that the stars of MTV’s Jackass were going to making a stop in Ottawa during their Canadian Comedy Tour, I have to admit the child in me burst out with excitement. The adult in me was more intrigued by actually getting a chance to hear their behind the scenes stories, and hear about how a group of men who were once on top of the entertainment world are living out their lives in a post Jackass world. Casual fans may have been a bit disappointed if they showed up expecting to see some crazy antics, stunts or practical jokes. 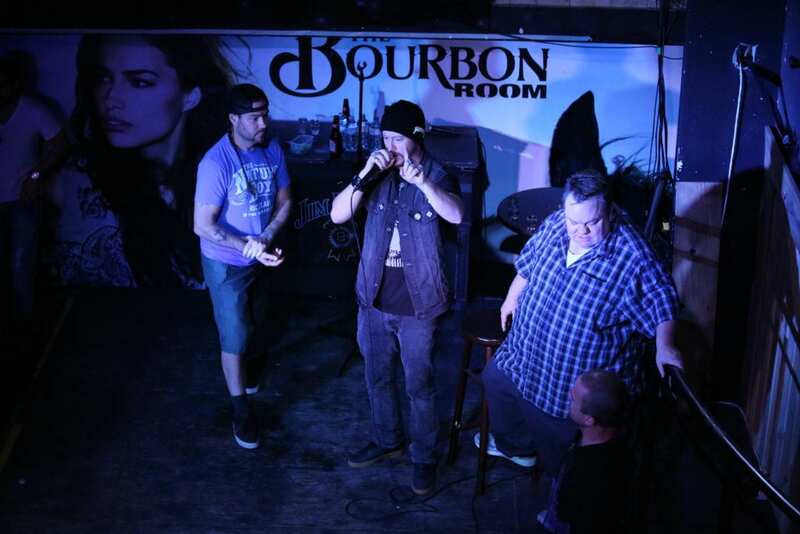 This show’s format was set up in a manner where each participant (Preston Lacy, Jason “Wee Man” Acuna, Dave England, Chris “Party Boy” Pontius and “Danger” Ehren McGhehey, did their own 15-20 minute solo stand-up act where they would talk about hilarious stories from their life in the Hollywood spotlight. I should mention that the term stand-up should be used very loosely as these men are not necessarily professional comedians, but have their own charm in keeping a crowd entertained and laughing. For the most part, it seemed as though the material they were presenting was either unscripted or unrehearsed. 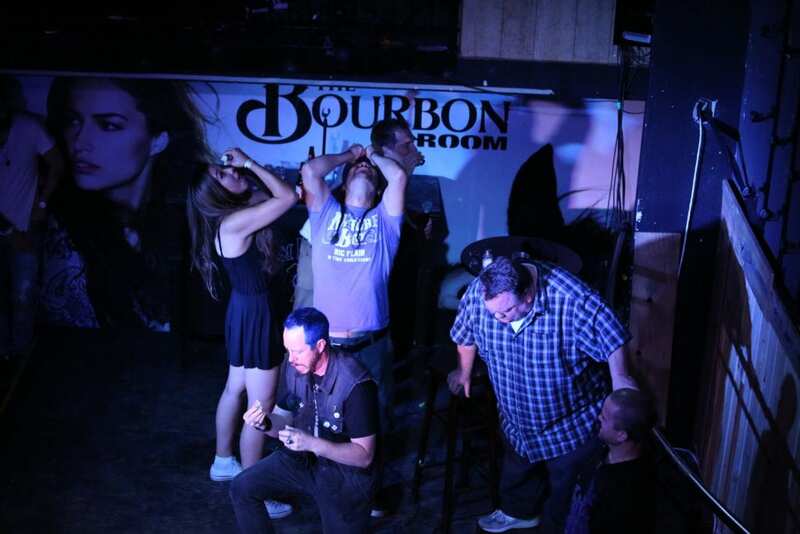 When I say unscripted, I refer to the style that Preston Lacy chose to present, in which he seemed to feed off the audience and allow his set to go wherever the fans decided to take him. 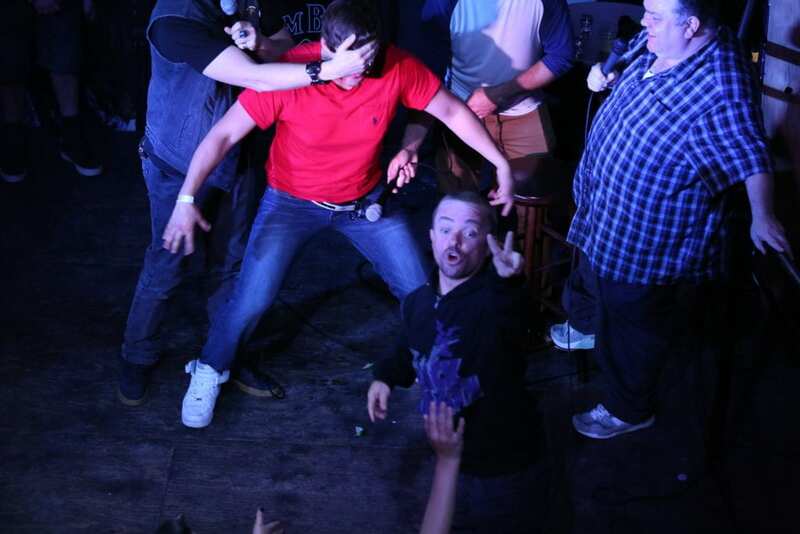 Unrehearsed speaks of the sets witnessed from Wee Man or even Danger Ehren, in which they both seemed to have an idea of what they wanted to talk about, but didn’t pull it off exactly how they might have wanted to. This wasn’t necessarily a bad thing, as I believe watching these loveable idiots trying to monotone their way through a prearranged script may have taken away from the authentic and personal feel that made this show so special for the fans. Chris Pontius’ set was my personal and biased favorite. He would often crack himself up halfway through a story, before the punchline was even delivered with that classic surfer teen laugh we have all grown to adore. Dave England may have been the only one prepared for his set, and dare I say, was probably the least intoxicated. 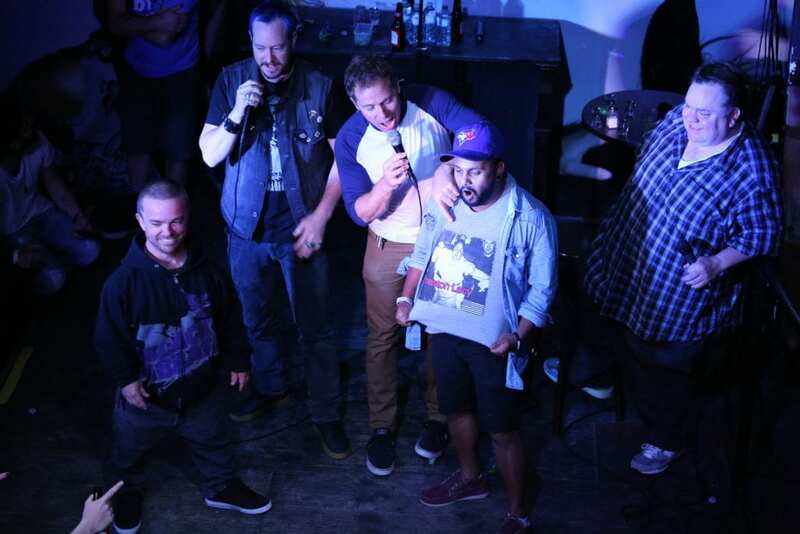 After the show, the Jackass crew were very accommodating in regards to signing autographs and taking pictures with the fans. I was fortunate enough to be able to have a fifteen minute conversation with Danger Ehren. When I asked him whether we can ever expect another Jackass film, he told me that he wouldn’t mind continuing to tour the way they have been, but he is still clinging on to hope (along with most of the fans) that a new movie will become a reality one day. I am personally not too optimistic, but I will always be holding on to that shred of hope with the other degenerates of my generation.